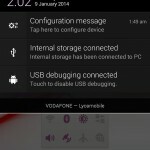 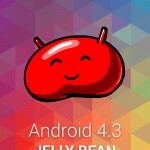 Xperia SP android 4.3 12.1.A.0.252 firmware screenshot Leaked - Test Build or Fake ? 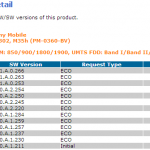 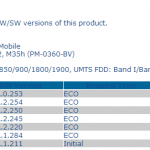 Xperia SP android 4.3 12.1.A.0.252 firmware screenshot Leaked – Test Build or Fake ? 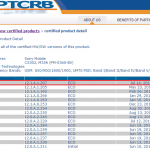 A few moment ago we posted that PTCRB has certified Xperia SP Android 4.3 12.1.A.0.253 firmware officially now and just now a tipster sent us an alleged screenshot from the Xperia SP android 4.3 12.1.A.0.252 firmware. 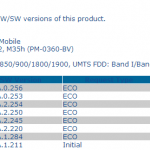 12.1.A.0.252 firmware is just point number short of official 12.1.A.0.253 firmware certified. 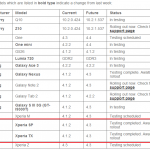 Nothing can be said yet whether the screenshot is real or a fake one as 12.1.A.0.253 firmware is about to comes as Android 4.3 on Xperia SP very soon and this leaked screenshot must be from previous builds in testing, if it is legit it must be from test build from previous firmware. At present nothing can be clearly said whether the above screenshot is real or a fake one. 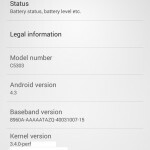 One thing is clear that Android 4.3 12.1.A.0.253 firmware is about to comes very soon on Xperia SP as it has been certified already. 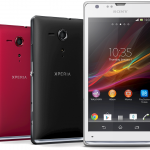 We will keep you posted as soon as Android 4.3 12.1.A.0.253 firmware starts rolling on Xperia SP globally. 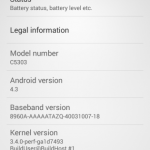 Build can be be test firmware so can’t be said fake for now.